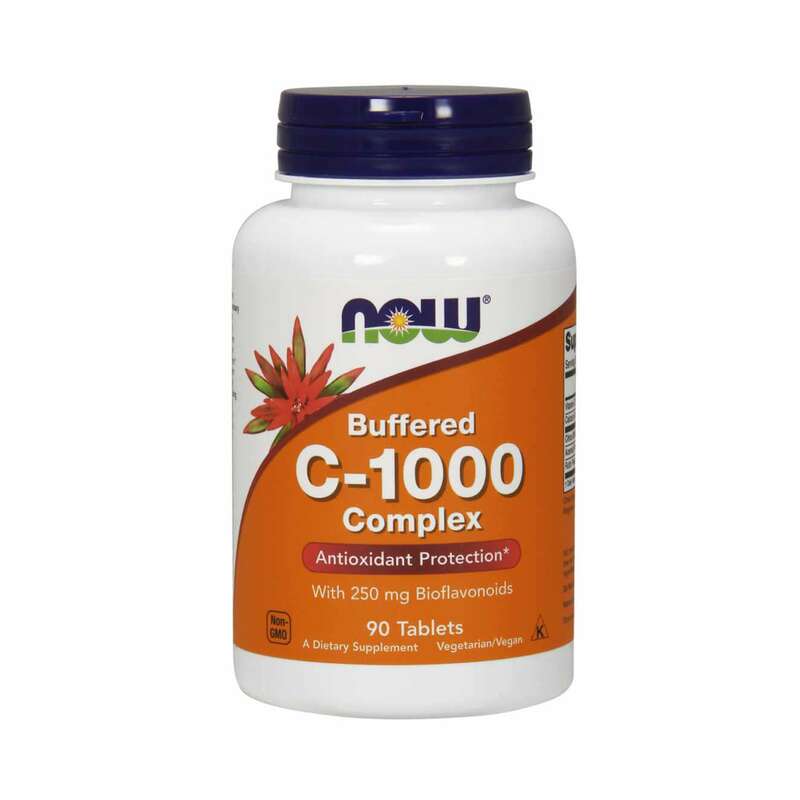 C-1000 Buffered by Now Foods is a powerful antioxidant supplement based on Vitamin C and other ingredients such as Calcium, citric Bioflavonoids, Acerola and Rutin. With its 1000mg, buffered vitamin C is more powerful than standard vitamin C. 'Buffered' vitamin C is also a specially regulated formula, perfect for people with sensitive stomachs. C-1000 contains 1g of Vitamin C or ascorbic acid per serving, it is a nutrients that is soluble in water and is vital for everyone. Vitamin C helps to reinforce the immune system and is also needed to form collagen, the main structural protein found in the connective tissue. A good dose of C-1000 by Now Foods will help to protect you against infections and keep the bones and teeth healthy, as well as helping the bodys ability to repair wounds. In addition to its immune functions that combat bacteria, viruses and infections, vitamin C also serves as an effective antihistamine that reduces the unpleasant effects of the common cold, including inflammation, nasal congestion and aches and pains. In addition, vitamin C is a powerful and effective antioxidant that protects the body against the free radicals that cause oxidative stress. Excessive oxidative stress or oxide cell. Vitamin C has been shown to be very effective in reducing blood pressure, and therefore reducing the probability of hypertension, as well as serious health problems such as cardiovascular diseases. Together with bringing blood pressure down, vitamin C also ensures the adequate dilation of the blood vessels and can prevent diseases such as atherosclerosis, high cholesterol, congestive heart failure or angina. C-1000 contains Calcium, an essential mineral that plays a fundamental role in numerous functions in the body and its function is fundamental in the formation and strengthening of the teeth and bones. It helps to reduce blood pressure and cholesterol, preventing cardiovascular diseases amongst other functions. C-1000 contains Bioflavonoids, which protect the blood circulation, collagen and favour the absorption of vitamin C in the body and also act as powerful antioxidants. Vitamin C (calcium ascorbate), citrus bioflavonoids, calcium rutin powder (Sophora japonica) (flower), acerola powder (Malpighia punicifolia) (fruit), stabilizer (cellulose), anti-caking agents [stearic acid (vegetable source), magnesium stereate (vegetable source), silicon dioxide)], vegetable coating. Produced in a GMP facility that processes products containing wheat, gluten, soy, milk, egg, fish, crustaceans or nuts. 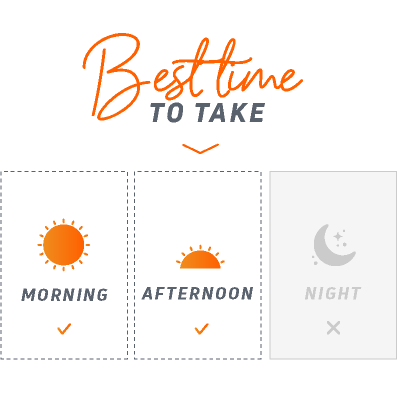 As a food supplement, take 1 tablet a day, preferably with food. Nutritional supplements should not be used to replace a balanced diet. Do not exceed the stated recommended daily dose. Once opened, store in a cool (under 25ºC), dry and dark place. Keep out of reach of the smallest children. Consult your doctor before taking the product if you are pregnant, lactating, under medical treatment or if you have a medical condition. The product can vary in color naturally.